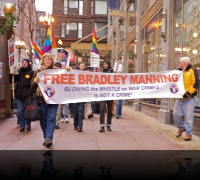 During a week when others celebrated Obama’s phony announcement that “the war is over,” http://joescarry.blogspot.com/2011/12/yueyang-pavilion-and-permanent.html, the Chicago Chapter of World Can’t Wait joined with the Midwest Anti-War Mobilization to honor Bradley Manning as a hero who deserves freedom, not torture and imprisonment. 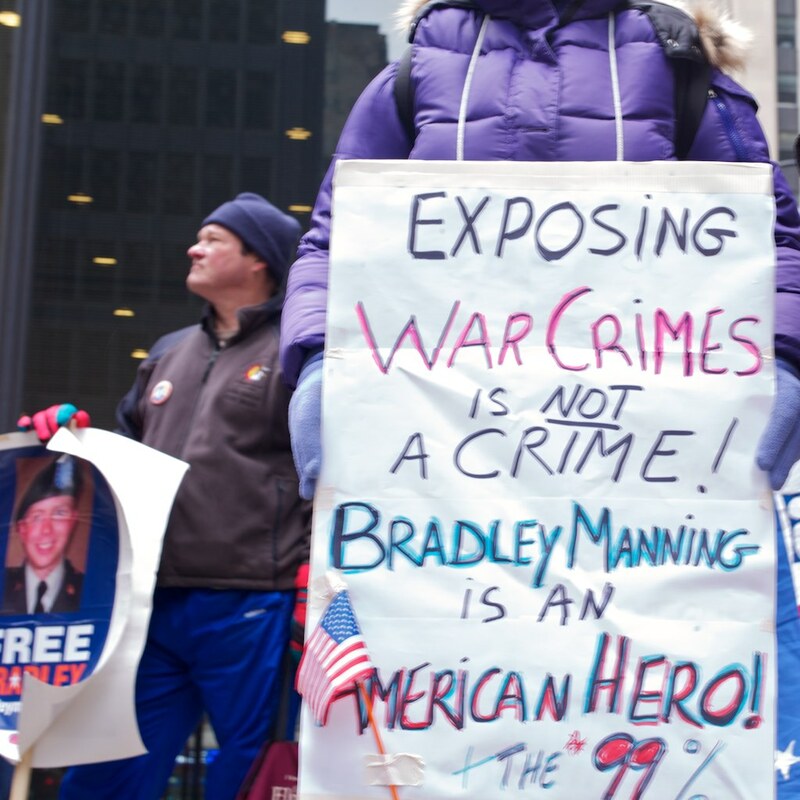 If, as the US government alleges, this young man passed along troves of documents to Wikileaks, he has done more to accelerate US troop withdrawals from Iraq and fuel the Arab Spring than any other individual. We were in the streets to mark Bradley’s 24th birthday and the start of his pre-trial hearing bradleymanning.org, more than 500 days after he was arrested and thrown in solitary for 10 months. 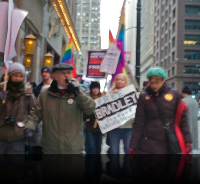 World Can’t Wait and Gay Liberation Network were joined on the mic by Occupy Chicago speaking to holiday shoppers on busy State Street, most of whom didn’t know who Bradley Manning was or how indebted we are to him. 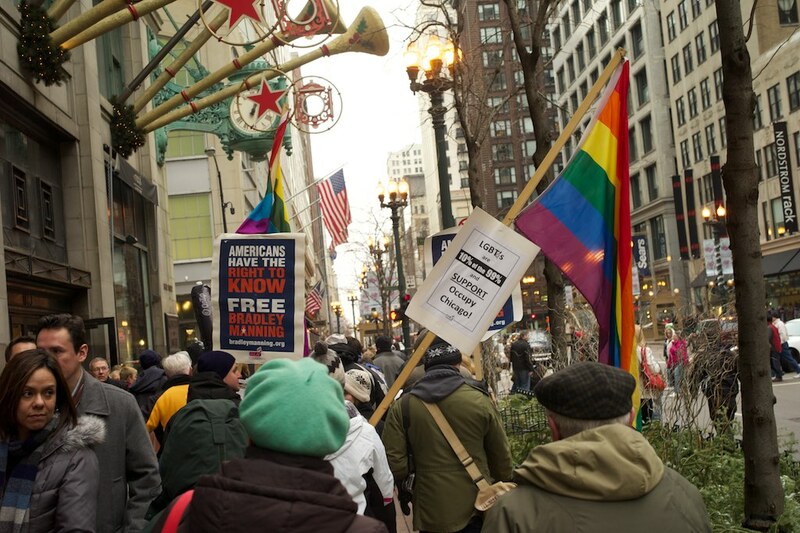 Some people did thank us, and one man donated $100 to his defense fund on the spot. We distributed hundreds of palm cards to awaken the conscience of curious onlookers.